Malta Café Scientifique is a series of informal events presented in collaboration with Malta Chamber of Scientists and Spazju Kreattiv where anyone can discuss the latest ideas in science and technology. Talks are held on a monthly basis in Studio B, Spazju Kreattiv. The Malta Café Scientifique season opens in October with Dr. David Saliba’s presentation on the body’s natural defence mechanism against cancer cells and with Mr. Johan Zammit’s talk on the uses of blockchain in the scientific world in November. In December, Dr Sebastiano D’Amico will present, with the help of his 3D models, the virtual reconstructions of sites of cultural heritage, both for virtual museums and for research. After a brief pause, Malta Café Scientifique will be back in February with Prof. Mario Valentino and his presentation on how white brain matter can be protected from deteriorating after a person experiences a stroke. March is all about the brain and Brain Awareness week to increase awareness about brain research! In April, we will be having Dr Rebecca Dalli Gonzi and her talk on creating more spaces for culture and art while keeping sustainability at a high priority, and in May we shall be closing the season with Dr Lourdes Farrugia, who will be taking us through the uses of electromagnetic imaging. 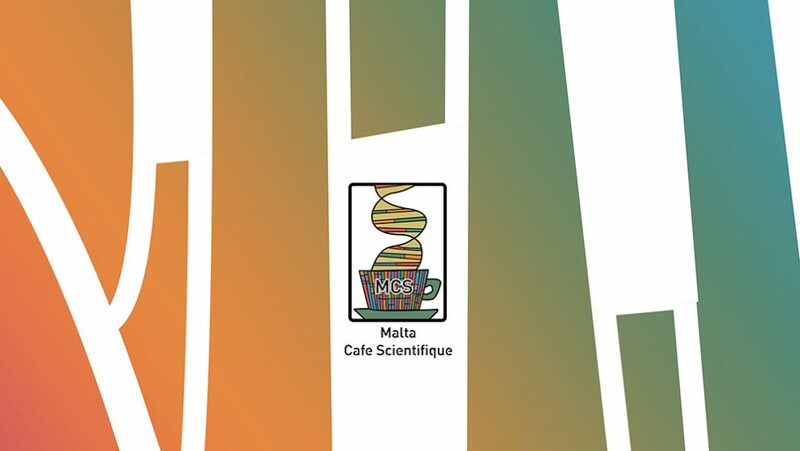 Malta Café Scientifique can be found on Facebook and online. All events are free and suitable for all ages. Malta Café Scientifique forms part of the STEAM @ Spazju Kreattiv programme of events. Malta Café Scientifique presents Dr David Saliba and his research on white blood cells that make up our sophisticated defence system. White blood cells make up part of the immune system which is responsible of protecting the body against pathogenic invaders like bacteria and viruses. However, their role is much bigger than we may realise, as they are also involved in detecting and killing tumour cells. With blockchain trending and the introduction of three new bills in Maltese law on the regulation of blockchain technology; society and businesses can’t avoid learning about it as it spreads around us. Its applications are very diverse, and can be found in all aspects of society. Malta Café Scientifique presents Johan Zammit, who will take you through all the different uses and emerging technologies of blockchain. In the rise of the importance of studying cultural heritage in an ever-growing society, it has become critical to develop new ways of studying without disturbing them. Dr Sebastiano D’Amico’s research and results on the matter are of great interest to the scientific community and also to conservation efforts. He will be presenting the most recent advances in accessing sites of cultural importance virtually, using results combined with 3D models and reconstructions of sites such as the identification of potential burial sites, and the empty spaces beneath the commemorative marble slabs that decorate the flooring of St. John’s Co-Cathedral. The adult human brain weighs about 1.36kg. It is made up of white matter and grey matter. White matter makes up half of the brain, and is made up of nerve fibres that are covered with a fatty layer, that allows the electrical nerve signals to travel efficiently. This is very critical for the functioning of the brain in order to faithfully transmit and receive messages. White matter also receives less blood from the body compared to grey matter and is therefore most sensitive and vulnerable during a stroke. So what happens to the white matter if a person experiences a stroke? Malta Café Scientifique presents Prof. Mario Valentino and his talk on the evolution of the damage to the white matter during a stroke. Prof. Valentino will review some of the published research that has been done in his laboratory that highlight novel avenues sought through experimental findings that focus on new treatment strategies to protect the brain after a stroke. Some common mood disorders include depression, bipolar disorder, and seasonal affective disorder (SAD). More awareness is needed about what mood disorders are and how they affect us and the ones we love. These questions will be tackled by a panel of speakers during Malta Café Scientifique’s upcoming event as part of Malta Brain Awareness week. Malta Brain Awareness week is organised by the Malta Neuroscience Network of the University of Malta and supported by the University’s Research Trust (RIDT). We often hear about sustainable development, however, it may seem that the development of infrastructure and sustainability cannot coexist. However, what if we manage to introduce both? At Malta Café Scientifique, Dr Rebecca Dalli Gonzi and Dr. Joseph Falzon will be showing us how the team of designers is proposing marrying the two, making use of the island’s Mediterranean coasts. As an alternative to the dense land use that currently characterises Malta, floating, marine structures are being proposed, not to dominate the coast, but rather, to offer a space for performing arts during the hot summer months, while also experimenting the likelihood of evolving the concept to include living spaces. Why is it that small populations tend to have higher occurrences of certain genetic disorders? Malta Café Scientifique will be presenting Prof. Giovanni Romeo from the University of Bologna. Studies on language, archaeology and genetics conducted in Calabria Greca, Italy have all agreed that its population originated from migrations before the classical era of Greek expansion. The fact that Calabria Greca has such an ancient yet secluded population, makes it a popular research location for genetic studies. Malta and Sicily also have secluded populations, and just like Calabria Greca, have a high prevalence of hereditary, with the most common one being the Mediterranean Familial Fever. These closed populations, therefore, are perfect for scientists to study what triggers genetic diseases; helping them understand the causes which would hopefully lead to developing a cure.